In my last post, I wrote about some of the reasons that I love the late-late show, also known as the hallel-nirtzah portion of the seder. Next, I will talk about two of my favorite songs in the whole seder. 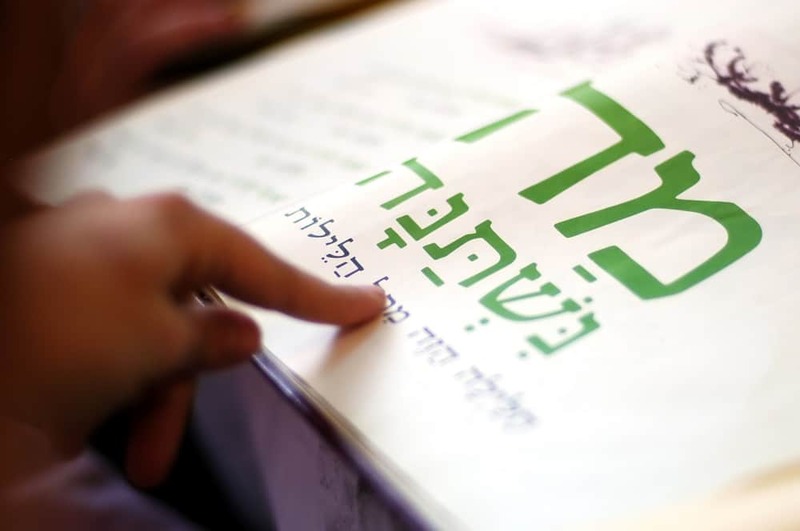 In this post I will write a bit about Echad Mi Yodea, and next time I’ll do Chad Gadya. First, Echad Mi Yodea, also known as, Who Knows One? I remember when I was a little girl, I would doze off after the afikoman, during the boring, reading-heavy portion of hallel. I remember when I was five or six years old, being awakened by Echad Mi Yodea, the penultimate seder song, and joining in for the epic conclusion of the meal. I love that song so much! For the next night, I asked my mother to wake me for that song in case I fell asleep again (which I did – so tired!). This happened for a few more years until I was able to stay awake the whole seder through! I’ve always like the repetitive nature of Echad Mi Yodea (which is also present in the next song on the seder playlist, Chad Gadya). It’s known as a cumulative song, which means that each verse builds on the previous verse. Both Echad Mi Yodea and Chad Gadya are cumulative songs, as are The Green Grass Grew All Around (which was on the CD of children’s songs I used to play for my kids) and The Twelve Days of Christmas (l’havdil). You get to keep coming back to the same song elements, again and again and again and again. Don’t worry, I’m not going to write again thirteen times, four is enough for you to get the point. The repetitive nature of the song reinforces how much I love this tune! My husband has a different tune, so sometimes we’ll do my tune at the first seder and his tune at the second seder. I like his tune too, though obviously not as much as mine. One year we also tried alternating the tunes for every stanza (I got odds and he got evens), but it was hard for us to sustain the momentum of the song so we didn’t do that again. In our pesach travels, we’ve seen a few fun variations of Echad Mi Yodea. At a kosher Passover hotel one year, we saw a family try to do each stanza in one breath. It starts out easy, but by the end, it can be very challenging. I also saw an old man leading his family in a rendition in Spanish. Interestingly, for thirteen the lyric was thirteen years to bar-mitzvah instead of thirteen attributes of Hashem. Interesting!